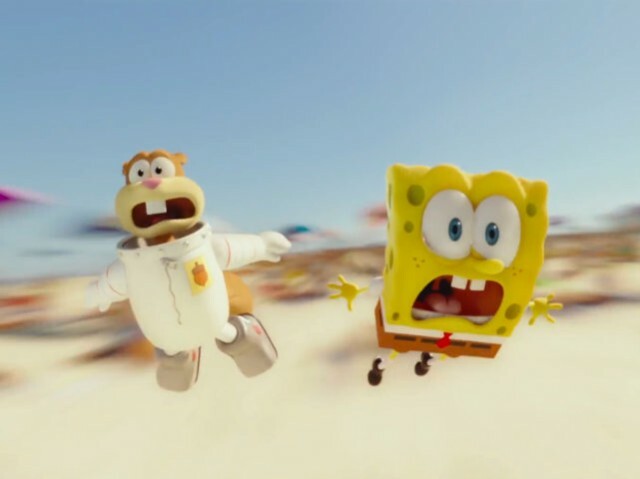 In a sad day for America, The SpongeBob Movie: Sponge Out of Water – the new film based on President Obama’s favorite cartoon SpongeBob SquarePants, opened at #1 this past weekend. Breitbart reports that the film had taken in over $56 million dollars. The Wachowski’s latest film, Jupiter Ascending, opened with only $19 million, marking the second flop from the directing duo since 2008’s Speed Racer. Universal’s supernatural thriller, Seventh Son, also failed at the box-office, with only $7.1 million. SpongeBob debuted on the vile pre-teen network Nickelodeon in 1999, and doesn’t even have a point at all. It is the beginning of the dumbing-down of America, along with Fox’s The Simpsons which was released 10 years earlier. If you want proof of how boring it really is, then check out a clip or two of the SpongeBob movie which came out 11 years ago on YouTube. with stuff like Sponge Out of Water being popular with children, this country’s culture is in deep trouble. No wonder Barack Obama was elected twice.